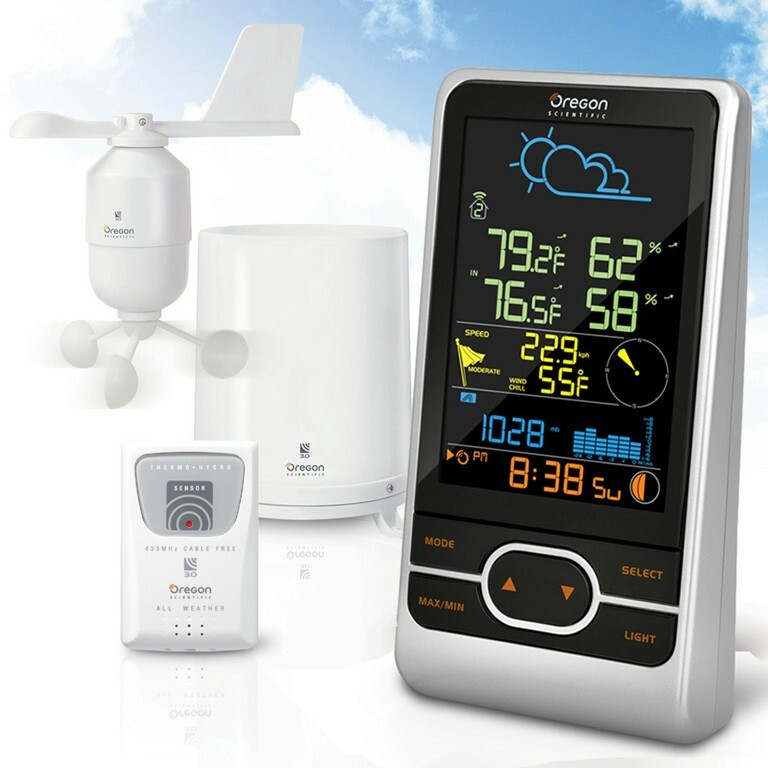 Oregon Scientific WMR86NS / WMR86NSA Backyard Pro Wireless Weather Station - Color LCD Screen is a terrific choice in home weather stations and the WMR86NS wireless weather station offers robust data at a reasonable price. Get the entire weather story with this fully-featured Oregon Scientific weather station. The robust features you need to stay on top of current weather events in one complete and convenient weather instruments system! The easy-to-read color LCD backlight display displays your latest forecast, indoor/outdoor temperature, wind chill, humidity, barometric pressure and rainfall readings and more. At a glance you can see what's happening in your corner of the world. Separate wireless sensors for wind, rainfall, temperature and humidity for easier set-up. Main unit is powered by an AC Adapter and 3 AA batteries (backup power).